Applying for internships can be intimidating. You have to put yourself out there in a way that leaves you vulnerable to rejection and disappointment. But if you want to get ahead, you need to screw up your courage and apply. Browse the internship listings and identify some opportunities that appeal to you. Make note of deadlines. Many of the most desirable internships have application deadlines in October, November or December. 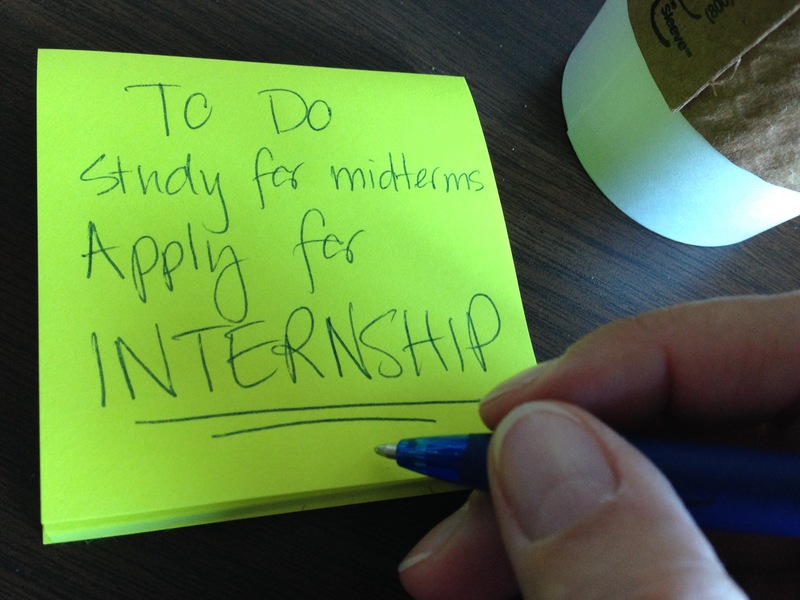 But if you’ve missed those due dates, don’t despair; some internship programs accept applicants later in the winter and even in spring. If you don’t already have one, set up a LinkedIn account and create a detailed profile. If you’re on LinkedIn, update and polish your profile. 4. Line up people who can write recommendation letters and/or serve as professional references. Be sure to ask people first; don’t assume that the professor who gave you a C in Media Law or the college newspaper adviser who had to nag you to spell names correctly is going to give you a glowing reference.